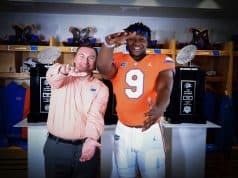 Most of the Florida Gators commits have visited for a game this year and on Saturday the Gators crossed another guy off of the list of guys who haven’t seen a game in the Swamp. 2019 receiver John Dunmore (6-2, 172, Delray Beach, FL. American Heritage Delray) made his first visit to Florida with his family on Saturday. A lot of things made this an unforgettable visit for Dunmore but he broke down exactly why he thinks that. 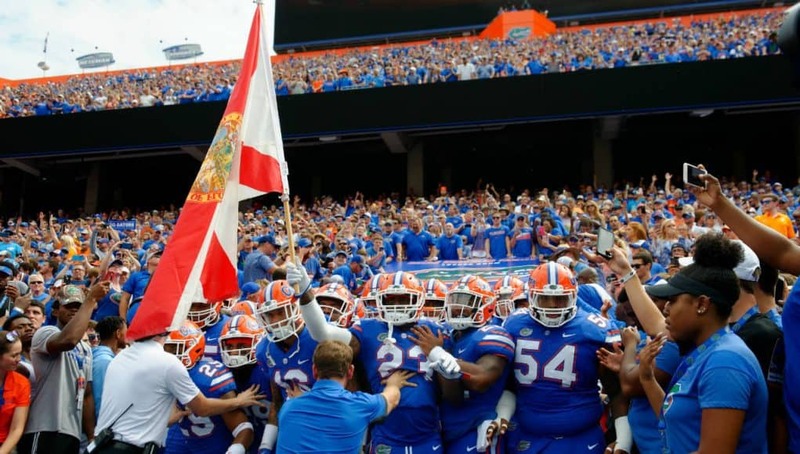 Dunmore played close attention to the Gators offense and he has his reasons as to why the offense struggled on Saturday. Like the rest of the commits, Dunmore had the chance to talk to the coaches and they had a small message for him. Receivers coach Kerry Dixon has explained to Dunmore what he likes about the receiver so far this year. 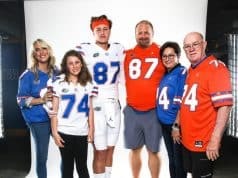 Dunmore has a few guys that he’s been trying to talk into joining him in Gainesville for the 2019 class. Not only is he working the targets but Dunmore and the rest of the commits are also building a bond with each other. Dunmore took a visit to Florida State for the Miami game but he doesn’t really have any other visits planned in the future. 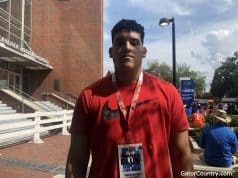 Despite the visit to Florida State, Dunmore remains committed to the Gators but admits he’s looking at others. INSIDERS TAKE: Florida State will always be the school to watch for with Dunmore because they were his childhood favorite team growing up but they haven’t really turned up the heat on him yet.